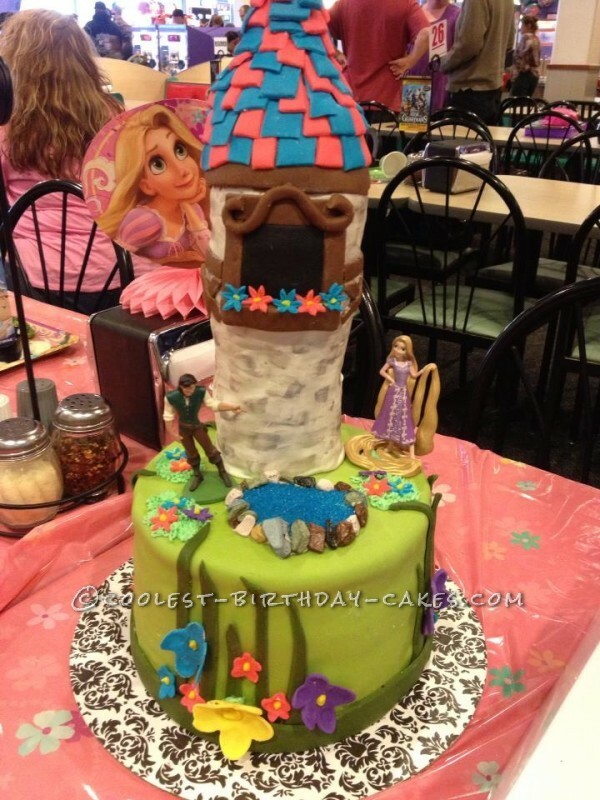 I made this Tangled cake for my little cousin’s birthday. I made the tower out of rice crispy treats, earlier in the week to give it time to harden up. I covered with fondant for the roof. I cut out a bunch of squares and put them on from the bottom going up, rotating colors. 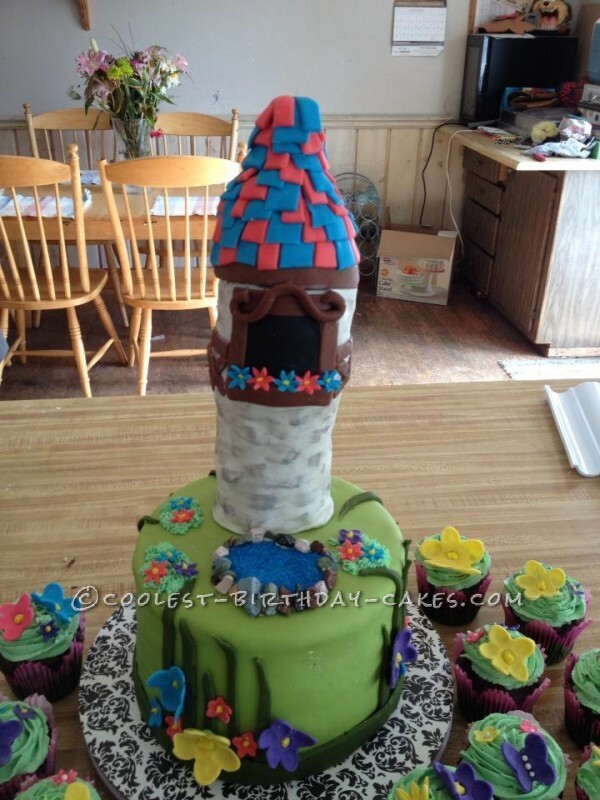 All the details were also made out of fondant. I added a little bit of water to some luster dust to add color to fondant to look like bricks. I also made a bunch of flowers and butterflies before hand. For the cake I made two 8 in rounds and covered with fondant. I tinted some fondant a darker green for the blades of grass. The pond was made by adding a small amount of butter cream to fondant and placing candy rocks around, then adding blue sugar on top of it. 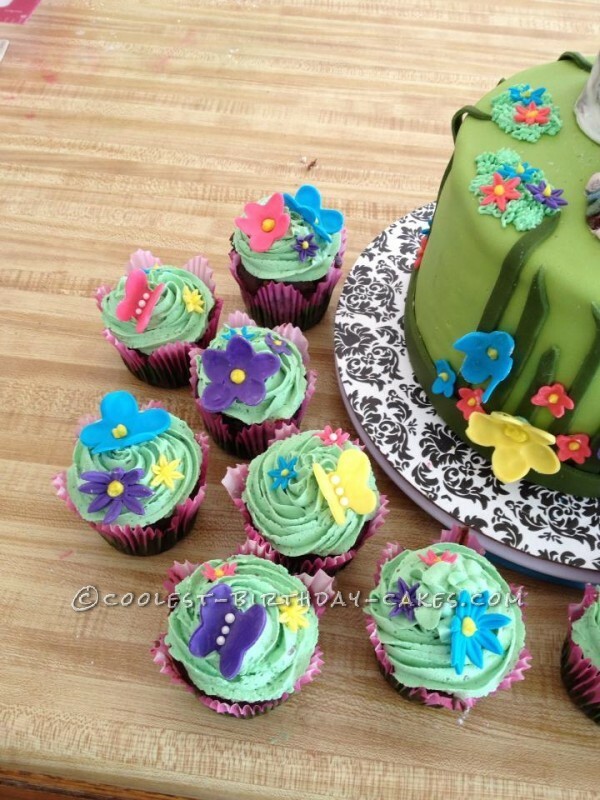 For the cupcakes, I placed some flowers and butterflies on top of them. Everyone loved this cake, and the birthday girl was so excited . Birthday cake idea Posted by Danielle H.